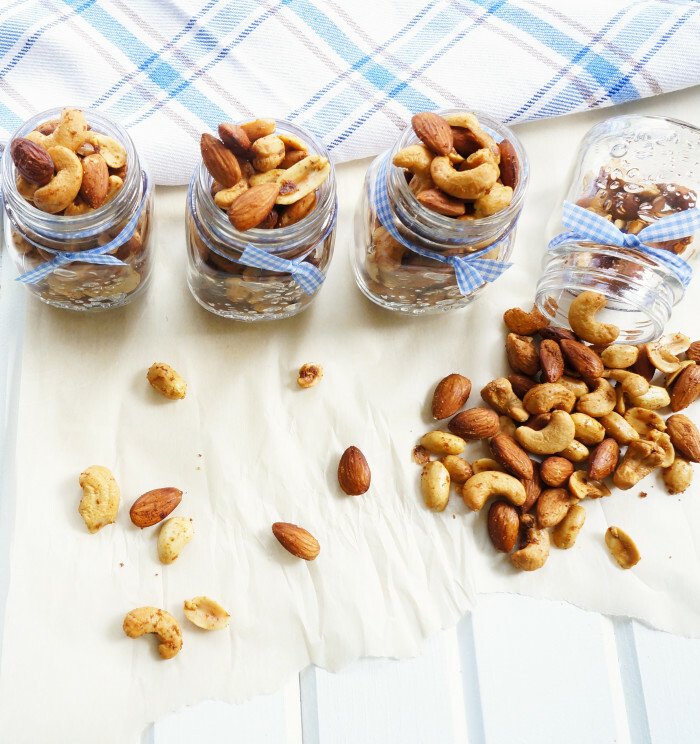 These spicy nuts are a great healthy, yet satisfying snack packed full of heart-healthy fats! Makes the perfect edible gift for nut-lovers! With Father’s Day quickly approaching, I’m always trying to come up with gift ideas for my dad. My dad is not materialistic at all, so trying to get him any type of material gift is HARD. One thing that I do know about my dad though is that he LOVES nuts. Sometimes I think he’s part squirrel. I think he would snack on nuts all day if you let him. So of course, knowing that nuts are his preferred source of fuel, I started wracking up some creative and tasty nut ideas. Now let me clear something up. These aren’t just any ol’ nuts. After all, the way to any guy’s heart is through his stomach, right? Oftentimes, when you buy the pre-packaged flavoured nuts, they tend to be loaded with sodium and saturated fat. Yes, they’re tasty. But generally not the healthiest choice. We’re not looking to send Dad’s blood pressure through the roof or clog up his arteries. That would not be a good gift option. What we are looking to do, however, is to provide him with a tasty and flavourful snack that will actually be good for his heart! But he doesn’t have to actually know that it’s healthy. It will be a secret between you and I. These nuts are not overly spicy, but you can definitely adapt how spicy they are by adding more hot sauce or cayenne. You can also switch up the type of nuts that you use, just to keep things interesting. 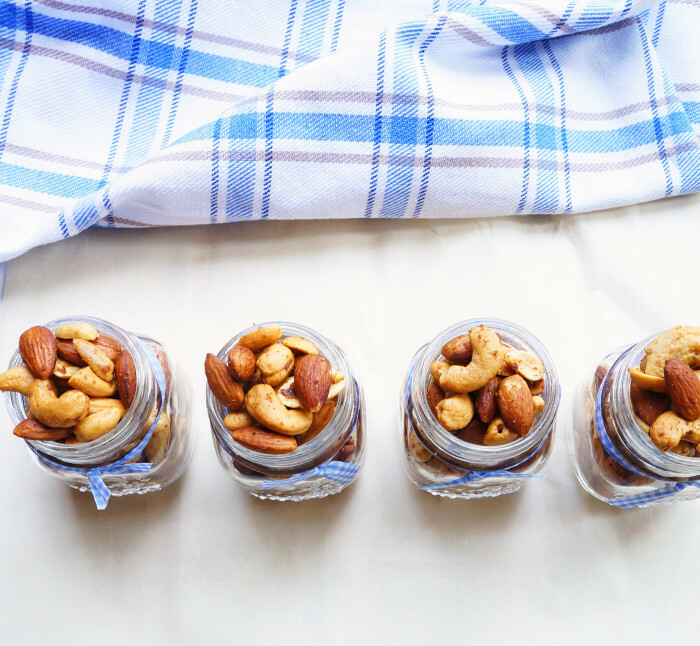 The amazing thing is, you can make a big batch of these nuts and package them up into mason jars and store them as a quick snack. It makes a great last minute gift idea (hint, hint)! Place the nuts in a large mixing bowl. In another bowl whisk together the olive oil, Worcestershire sauce, Tabasco, salt, garlic powder, ground mustard, and cayenne. Pour the mixture over the nuts and stir until well combined. 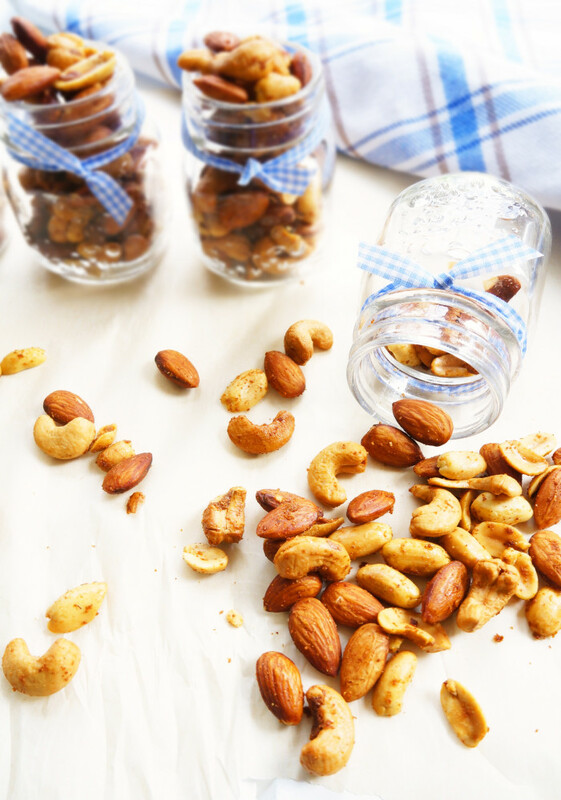 Arrange the nuts on a large baking sheet and bake for 20 to 22 minutes until toasted and lightly browned, stirring halfway during cooking time to prevent burning. Remove from the oven and cool completely, tossing occasionally, before transferring to an airtight container. If I won, I would use the gift card to purchase a Cuisinart Elemental 11-Cup Food Processor. Awesome choice Alison! 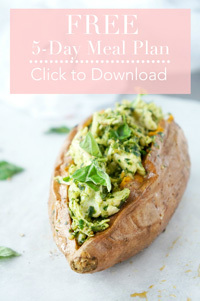 An 11-cup food processor would definitely come in handy. Think about all the delicious food you could make with that thing! If I won, I would get a new rice cooker! If I won I would buy something LeCreuset! I wish for a braiser. If I won, I think I’d use the gift card to invest in a new mixer for my mom! Thanks so much for offering such a generous giveaway! My pleasure! Glad you enjoyed the post!